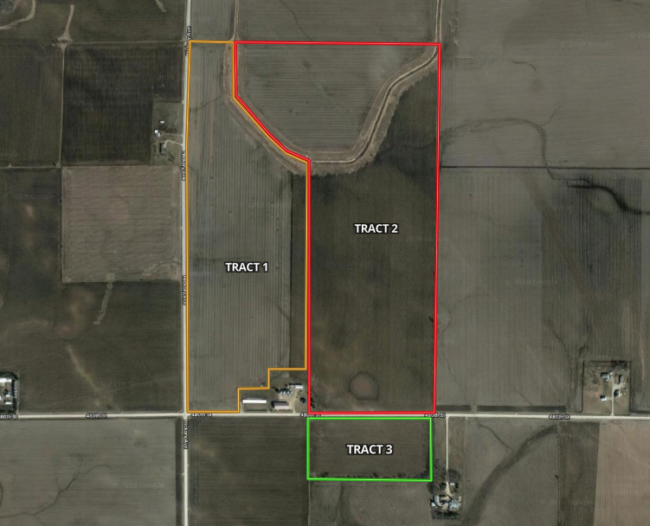 Property Info: Iowa Land Company is honored to represent the Maurice Barnett Farmland Auction located in Decatur County, Iowa. Located in Section 16 of Fayette Township this farm will be offered as one tract on live public auction Thursday, April 18th at 3 PM. The sale will be held in Lamoni , IA at The Lamoni Community Center. 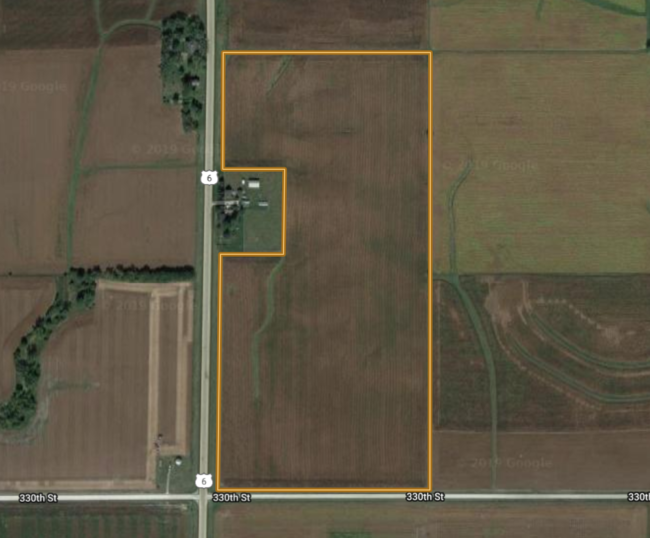 Property Info: Iowa Land Company is honored to represent the Patterson Family Farm in Mitchell County, IA located 1 mile North of Toeterville, Iowa and 10 miles Northeast of St Ansgar, Iowa. The farm will be offered at public auction on May 31st, 2019 at the St. Ansgar American Legion Post @ 1pm. This is a great opportunity to buy extremely well taken care of dirt in an area where farmland doesn’t often come available. Here’s a look inside rural America and what farmers provide to this nation. Iowa farmers are the backbone of this state without agriculture Iowa’s economy would not be as stable as it is today. Over the years farming as a industry has changed just like any other industry. Farmers have continued to stay the same. Long hours and farm fields is what makes up the lifestyle of a farmer here in Iowa. These rolling hills layered with fertile dirt is like an open canvas to Iowa farmers. Iowa is known for some of the most fertile soils in the world, and Iowa farmers have figured out to make it super productive. We are an Iowa farmland real estate company, offering both Iowa land auctions and traditional listings services of Iowa farms for sale. Other real estate services we provide on a daily basis include helping buyers invest in the best Iowa farms for sale, representing 1031 Exchange purchases, offering free farm evaluations/appraisals, determining Iowa land values and prices, and providing farm management services for landowners throughout this great state. Iowa Land Company has land agents servicing all 99 counties in Iowa. What is your farmland value? Visit our What’s My Iowa Farm Worth Page. This online evaluator can help you determine the value of your land in Iowa. We offer a free no obligation property evaluation. We lean on five categories to give a value on a property. Fill out a form and one of our Iowa land agents that services your area will be in contact with you soon. All evaluations are free of charge. When considering investing hard earned dollars into something you don’t completely understand it’s important to find a trustworthy farmland brokerage to lean on to help you through your purchase of one of the many Iowa farms for sale. Iowa Land Company works on farm deals everyday of the week. No matter where you’re considering buying within the state, we know what the land market is doing on a daily basis. Our land agents will make sure you’re making a sound investment and are 100% confident in your purchase whether you’re buying a farm on the market, off the market, or at an Iowa land auction. Call or email us today to start your land investing! A land management division that is tailored for all landowners and land situations, Iowa Land Company’s farm management division is a program for landowners and their farmland assets. Our management team understands the importance of land stewardship and care taking for such a delicate asset. Our goal is to reach your goal, we want our partners to know their best interest is our best interest. With short-term goals and long-term visions our team works daily to connect with the right tools and make sure each move is well thought out and calculated for a successful outcome. Understanding your short-term goals, targeting lease contracts, tenant maintenance, along with monitoring field prep and applications. Our long-term goals target asset appreciation and the longevity of conservation of the land. Whether it is 40 acres or 4,000 acres we take care of each management project the same. Over the past decade live public Iowa land auctions have been the most dominate and successful method to trade farmland. The auction method is the most guaranteed and simplified way to market Iowa farms for sale. At Iowa Land Company we have built a proven platform that works time and time again. This platform allows our team of Land Agents to be effective across all 99 counties in the state. Here at Iowa Land Company our real estate firm is solely invested in helping the process of a land transaction to be simple, rewarding, and successful for our clients. Whether you are involved with a family estate or selling a farmland investment we can help. Live public land auctions sell Iowa dirt!